News Roundup: Kiki Archer Live Q&A, Amy Dunne Goes Renegade, New Release from Karen Campbell, and More! Welcome! It’s a bit on the nippy side, but the sun is shining, flowers are still blooming, and I’m taking a quick break from squinting at page proofs to bring you all the happenings in the land of UK LesFic. Enjoy! Hey! This week we have the fabulous Amy Dunne joining us! Yes, that does make me happy. Amy is a return blogger and this time she’s here to tell us about her new release, a post-apocalyptic book titled The Renegade. 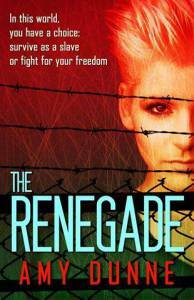 And, because she’s all manner of awesome, she’s giving away TWO ebook copies of The Renegade. Drop a comment in the space below and I’ll draw the winner on Friday, 9/25. I’ve had so much fun talking to authors, getting to know their writing process, and most importantly, learning their darkest food addictions! Author Amy Dunne is a joy to talk to. Her just released book is called The Renegade published by Bold Strokes Books. Voices of Lesbian Literature interview. No. STOPPPP!!! SEPTEMBER??? I can’t…WHERE DID THE SUMMER GO? WAIT! Unless you’re in the southern climes of the planet in which case…HAPPY SPRING! WOOOOO! Okay, so even with all the merry elves we have up in here running roughshod across the furniture and playing all night on the intertoobz, we don’t find all the titles you’d like us to have on here. So if you’re an author or a publisher or both and you’ve got a book coming out this month or next, drop us a line at the CONTACT page. We will do our best to get you hooked up. And because we stop updating these posts about a week after they go up. we also keep a static page that we update throughout the month. So we can accommodate you there, too.